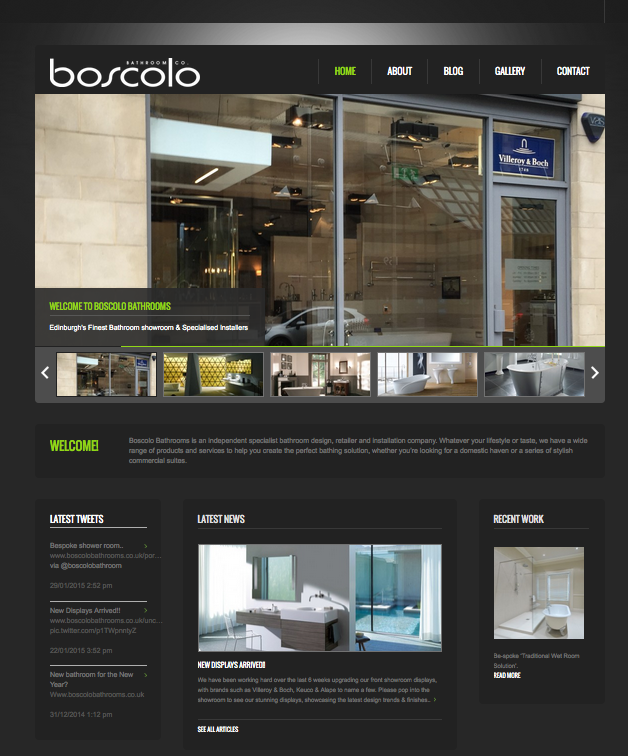 Boscolo Bathrooms are based at Causewayside Edinburgh; we design and install the highest quality bathrooms in the east of Scotland. We only select quality sanitary ware & bathroom products from around the world; we also believe we will provide the best design & installation service to match. With over 15 displays, we know that it’s not just about displays – we pride ourselves on delivering exceptional service from start to finish & we can install bathrooms across Scotland but the majority of our bathrooms are installed in & around Edinburgh & the Lothian’s.